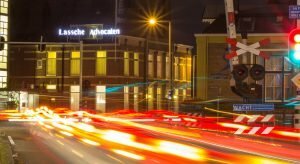 Unless otherwise agreed, the legal services of the lawyers of Lassche Advocaten are charged for on basis of on the time spent multiplied by the hourly fee and a factor that applies to the brief. In determining the factor the experience and expertise of the attorney handling the brief, the financial importance of the case and the urgency is taken into consideration. The following factors are used. Fees are increased by 6% administrative costs and any costs incurred (for third parties). As a matter of principle the debt collection service of Lassche Advocaten operates on the basis of “no cure no pay”. If our debt collectors are unsuccessful in the extrajudicial collection of your claim you need not pay commission. Of the sum that is collected the debt collection service receives 15% (excluding VAT) commission. Of course the debt collecting agency also attempts to claim the commission from your debtor. However if that is unsuccessful the commission is charged to you. Third party costs we owe, for instance local legal dues and the trade register dues in order to trace your debtor&s address are passed on to you. This applies if we are successful in collecting your claim and also if we are unfortunately unsuccessful.